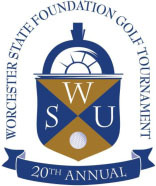 On Monday, June 24th, Worcester State Foundation will be hosting its 20th Annual Golf Tournament to help support education, opportunity and success in Worcester State University students. The event is presented by the Gene J. DeFeudis Family Foundation and will be held at Wachusett Country Club & Kettle Brook Golf Club. Curry Printing is proud to be one of the sponsors of this year's charity tournament. Worcester State Foundation has raised over $500,000 since the event was founded 20 years ago. Joseph Gardner, Curry's Vice President says, "We are excited to be a part of this year's tournament both from a sponsorship and participation perspective. We all enjoy playing a round of golf but especially when it's to support such a worthwhile cause. It's going to be a great day." Besides Curry, the tournament gets support by other local businesses as well as alumni and friends of the university. Golfers will tee off at either Wachusett or Kettle Brook and the tournament will be followed by a cocktail reception, dinner and awards ceremony being held at the Kettle Brook Golf Club.